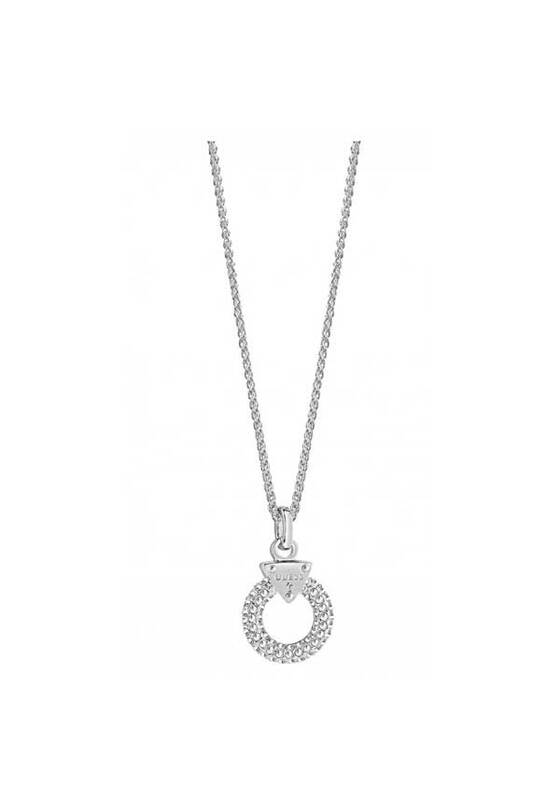 A really stand out piece - in stunning silver, this necklace is a “this season” must have. 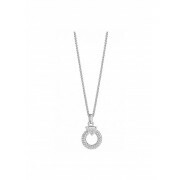 Instantly update any outfit, with this glistening, pave set crystal ring pendant, which catches the light from all angles. On an 18” chain, with enamel Guess charm dangling on the closure.